Intricate temples, bright white beaches, shaven-headed monks, humid jungle, delicious and bizarre food; Southeast Asia packs a lot in. Whether you’re sticking to the well-trodden backpacker circuits or heading out on a mission into the wild, this part of the world has something for you. Parts of the region, such as Thailand and Cambodia, welcome huge numbers of visitors, but others see far fewer. Paradisical and captivating lands lie just beyond the main traveler enclaves but are, thanks to the excellent tourist infrastructure throughout most of the area, highly accessible. 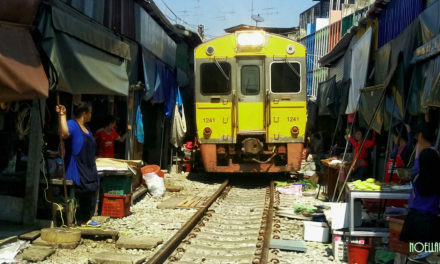 The network of buses, boats, trains, planes and tuk tuks is far-reaching, cheap and easy to use, making Southeast Asia a great place to explore, either as a beginner or veteran traveler. Mother and baby orangutans in Kutai National Park, Indonesia. On the endangered list, orangutans now only exist in pockets on Borneo and nearby Sumatra, partly in rehabilitation centers. 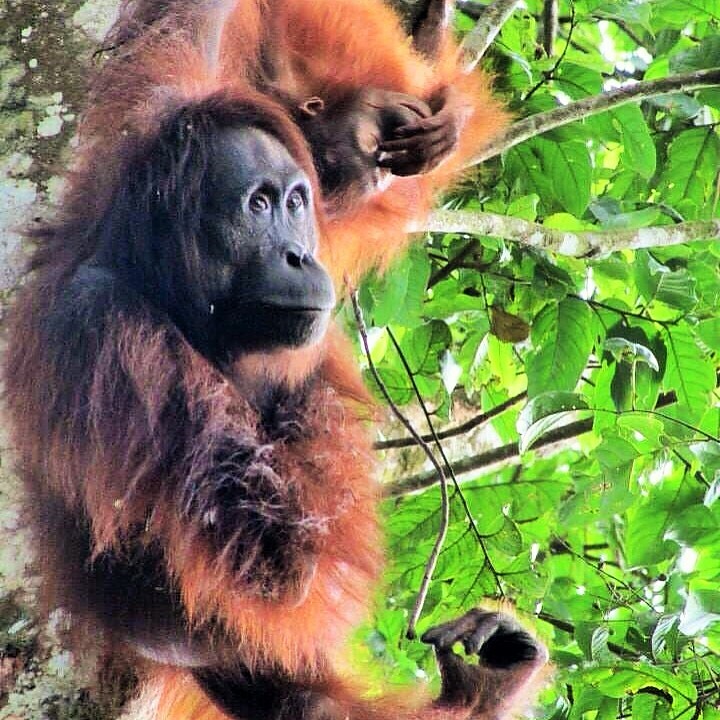 Borneon centres at Tanjung Puting and Sepilok are immensely popular among tourists; sightings are more or less guaranteed as the apes come to feed at fruit-laden platforms. While any orangutan encounter is an incredible experience, there is something special about seeing such majestic animals in their natural environment. Such an opportunity is possible at Indonesia’s Kutai National Park, where small groups of travelers head out from the rustic wooden lodge in search of wild orangutans. Once in the quiet, steamy rainforest, chances of seeing orangutans are good. The great ginger giants swing through the trees, supervising and playing with their infants, collecting fruit and tearing open the bark in search of water. Curious of human visitors in their woods, one of the apes we came across swung down to investigate, hanging only feet from us. The moment of encounter is simply magical, almost emotional, and creates an instant bond with these close relatives of ours. Kutai is accessible from Balikpapan, which has an international airport, and the closer town of Samarinda. Trekking out from Kalaw, through Shan State’s agricultural hinterland, throws travelers into not only a beautiful landscape but also into rural Burmese life. Hikers wander through hillside farms, stopping at tea shops for samosas and sweet, milky tea, and at monasteries for lunch. Local people are keen to chat to foreigners and traditional life is still strong here. Faces are coated with protective thanaka face cream, men and boys wear lungis, and women chew blood red betel nuts that stain the teeth. Nights are spent in rustic villages, providing a window into a way of life rarely seen on Southeast Asia’s backpacker circuit. 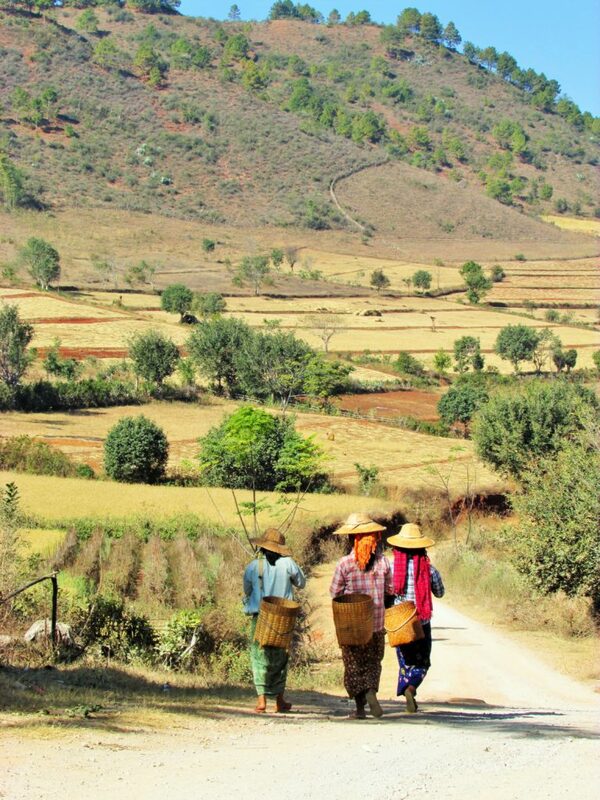 A 3 day, 2 night walk fits perfectly between the trekking HQ of Kalaw and the must-see Inle Lake. 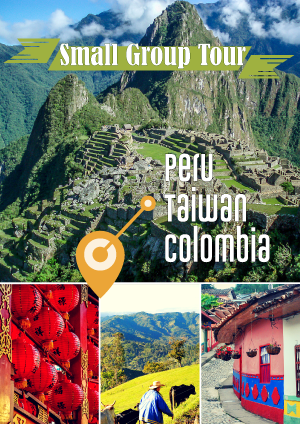 The Golden Lily guest house provides guided trips, alternating between numerous routes to spread tourist dollars around the region, with the added bonus of preventing villages from becoming over exposed to tourists. Glorious architecture and delicious food combine to make George Town a delectable town to while away a few days. Infused with Malay, Chinese, and Indian influences, George Town’s multiculturalism is demonstrated by museums detailing the migration to Penang and the histories of the different civilizations. Aside from strolling among British colonial structures and Chinese clanhouses, and searching for the street art dotting the city, budget plenty of time for eating. 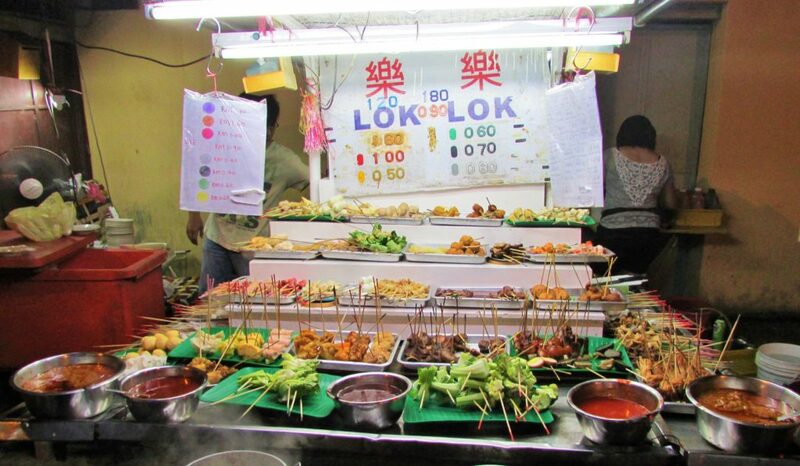 Browse the rows of hawker stalls, from Chinatown to Little India, and find a stool on the packed pavement to tuck into cheap and delicious meals. 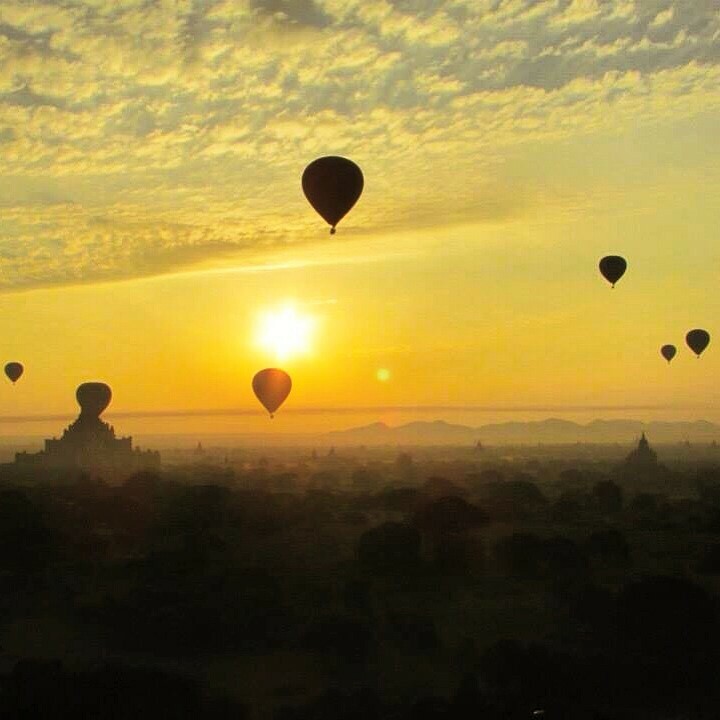 Hot air balloons float over the temples of Bagan at sunrise. Climbing atop of one of Bagan’s horde of temples as the sun rises allows early birds to gaze out over 3,000 stupas emerging from the mist with the new day. An ancient capital, Bagan’s temples were built by a series of kings over a three century period, with thousands crammed into an area the size of Manhattan. The density of these Buddhist structures makes for a spectacular panorama, particularly at sunrise and sunset, when the light is best for photographs or simply admiring one of the continent’s most stunning places. Sunrise is best enjoyed by climbing Shwesandaw Pagoda and gazing out over the vista while hot air balloons float overhead. Bagan is also enjoyed through leisurely days of cycling from temple to temple and tea house to tea house. 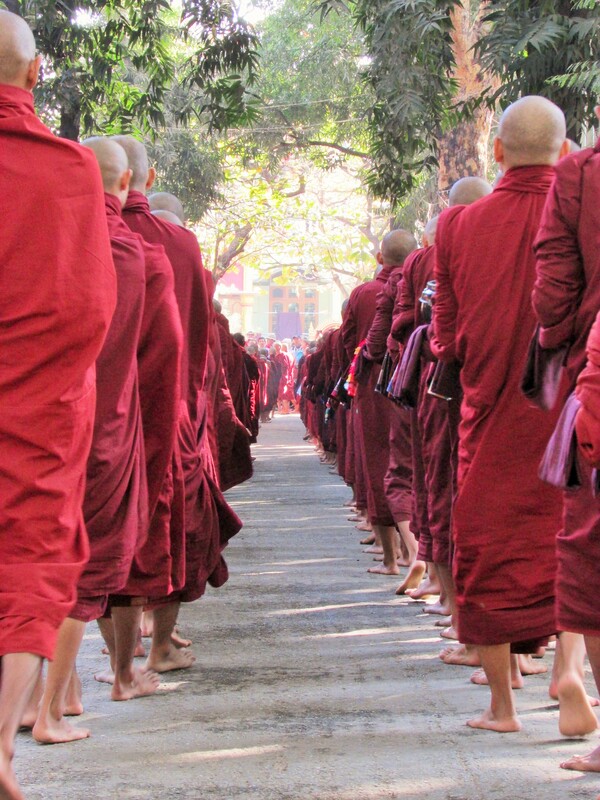 Although one of Myanmar’s major attractions, it is far from packed, especially at the forgotten monuments a little farther afield. Aside from the obvious, Bagan is a hothouse for people watching and conversing with people as photogenic as the views. The largest species of lizard in the world, the Komodo Dragon. Indonesia is comprised of 17,000 islands. Climbing aboard a sleeper boat and weaving through the endless archipelago of forested isles and clear ocean is a great way to see this land of wonders. 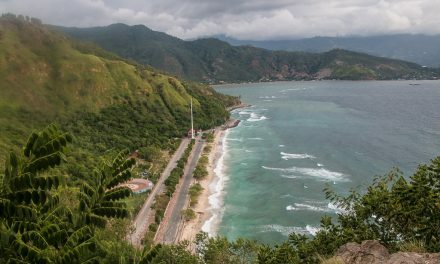 Four-day boat trips between Flores and Lombok take in the postcard scenery, in addition to some giants of land and sea. 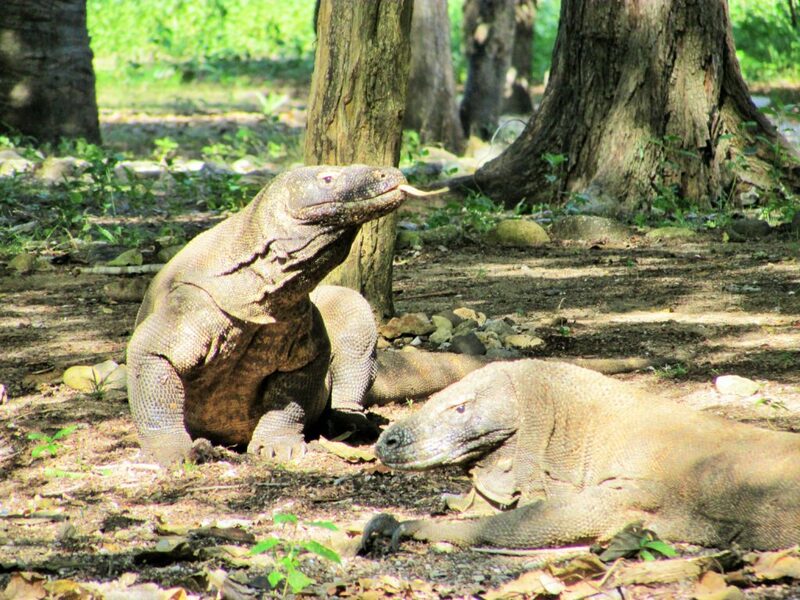 The majestic Komodo dragons are worth the trip alone. Swaggering around the islands of Komodo and Rinca and basking in the sun, they make the ranger-guided walks feel like tours of Jurassic Park. In case walking with dragons fails to sate passengers, boats stop at numerous snorkeling spots. Tropical fish are in abundance, the coral is rich and giant manta rays glide through the water, appearing to dance in unison. Dropping anchor in several bays, snorkelers can watch sea turtles grazing on the coral before swimming to the surface to gulp mouthfuls of air. A plethora of tour operators line the main drag in Labuanbajo on Flores, offering boat trips to Lombok or the Gili Islands. Day excursions to Komodo and Rinca are also available, as are diving trips. 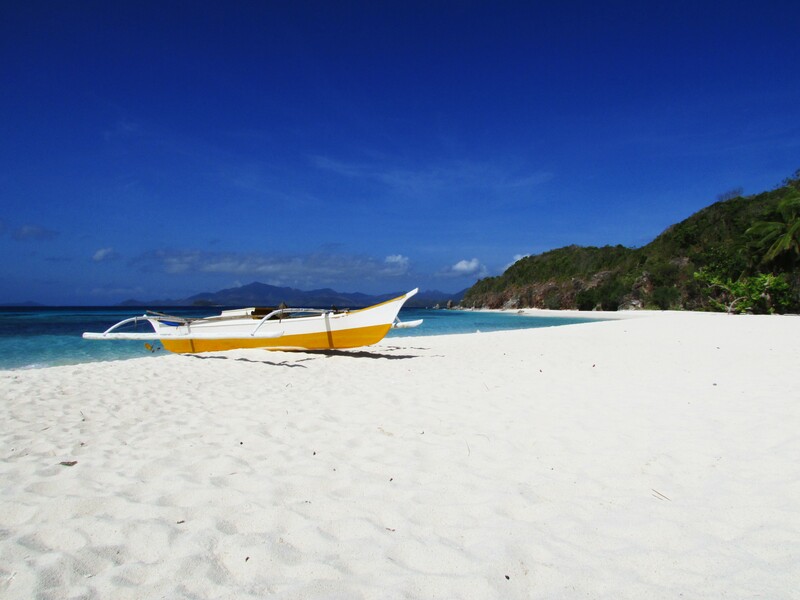 The perfect beach on Malcapuya Island, in the Philippines’ Calamian group. There’s no place like Coron. This small town, on the Filipino island of Busuanga, is the gateway to an ocean paradise. The eye-watering beauty of the area is visible from the small plane that brings you into the ramshackle airport, and only gets more intense. Using Coron as a base, it’s possible to explore the archipelago by bangkar, small motorised boats, taking in the spectacular rock formations. In Coron Bay it is possible to dive among Japanese warships, sunken by an American air raid during the Second World War. Swimming through cracks in the twisted metal, bright shafts of sunlight illuminate the drowned giants like a great cathedral. This is an experience of unique beauty combined with an underwater history lesson. Perfect post-dive relaxation comes in the form of your own desert island for the night. Destinations such as Banana Island are mere spits of sand in the midst of an infinite turquoise sea and create the perfect paradise fantasy. Boat men line the harbor awaiting business and will happily stock up at the market for an overnight excursion. Two men bangkar crews can transport you to tiny islets, with room for only a few visitors, you may find yourselves the only guests. Sightseeing from behind the handlebars of a motorcycle is a method quite like no other. Cresting hills draped in cloud and cruising above impossibly green rice paddies is all in a day’s riding in Vietnam. Scooters can be rented cheaply country-wide, allowing travelers to break out from the towns independently to see the less hectic side of this fascinating country. Postcard rural life is accessible from Sapa, in the far north, which is surrounded by rice farms and villages; roads are shared with ox-driven carts and herds of livestock. If it’s sand and sea you’re looking for, head up the road between Hoi An and Danang to the beaches once used as rest camps by American troops. The village of Batad, nestled among towering rice terraces. 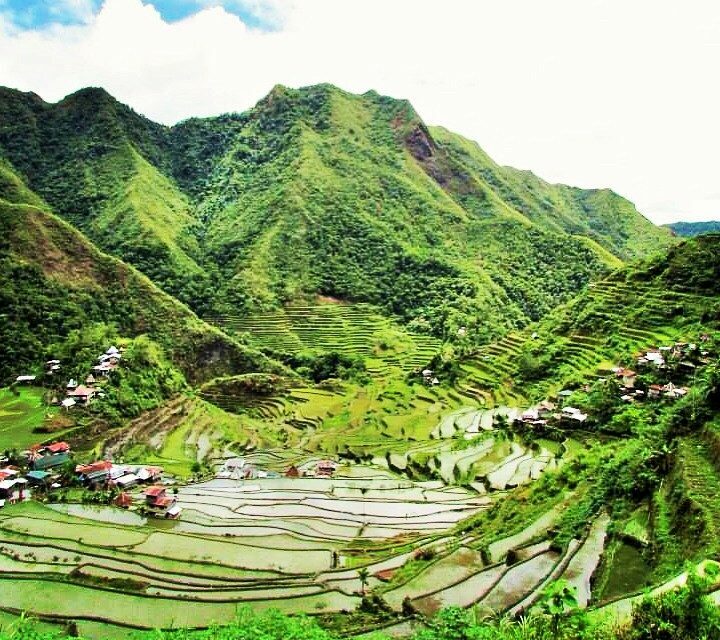 The rice terraces of the Philippines‘ Cordillera mountains are an ancient engineering wonder. Built over 2,000 years ago, still farmed by the people of the Cordillera, these stairways to heaven are still in immaculate condition today. An overnight bus journey from Manila, the first stop in the Cordillera is the town of Banaue. From here, take a jeepney up misty mountain paths to their crest at Batad Saddle, overlooking the most spectacular terraces. Descending beyond Batad village, the terraces fall away in a great amphitheater of green rice paddies, the sky reflected in the water. The height is dizzying, the color is mesmerizing, and the history is incredible. Have you backpacked around Southeast Asia? 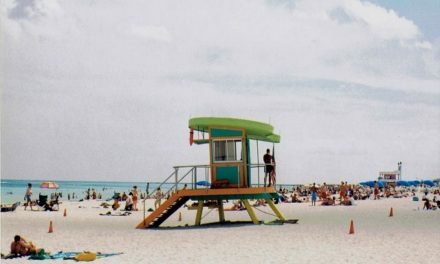 What were your favorite spots? Ben Starkey has spent most of the past decade backpacking or planning further trips, but still calls the United Kingdom home. Having traveled extensively in Europe, Asia and Latin America, his most recent travels have taken in southern and eastern Africa and California. Follow him on Instagram @benjamin_starkey. Any places in Japan that you would definitely recommend?? I’m moving to Japan next year and am looking for tips on the best places to go to!